As the developers, we try to break some classical RPG stereotypes encouraging player to stand by the dark side. 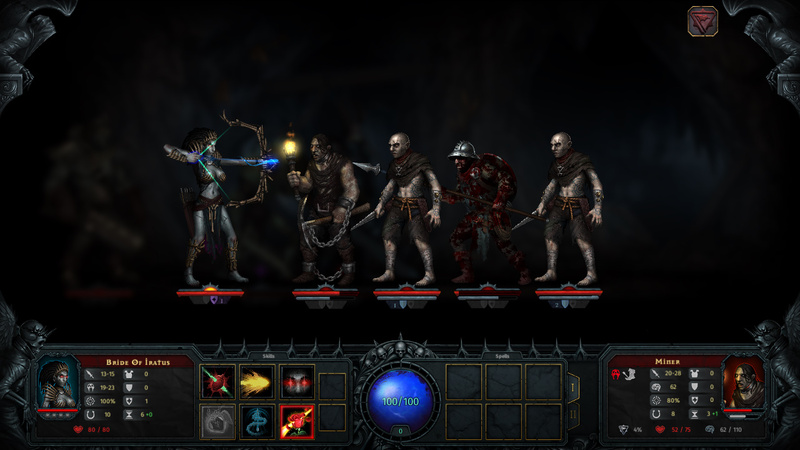 The storyline is focused on necromancer who was imprisoned in the dungeon centuries ago and now is striving to break free regardless of the cost. Player will have to improve the belowground lair, create the undead minions from body parts of defeated dead enemies, make challenging strategic decisions choosing a course of raid to enemy’s camp and take part in intricate tactical fights where any shallow mistake can cause the defeat. Develop and improve your belowground lair with necromantic powers. Craft undead minions with the body parts of dead enemies. Advanced fighting system: Know your enemies’ strong points and weak spots to achieve victory. Turn-based battle system with upward of 50 original minion’s talents. 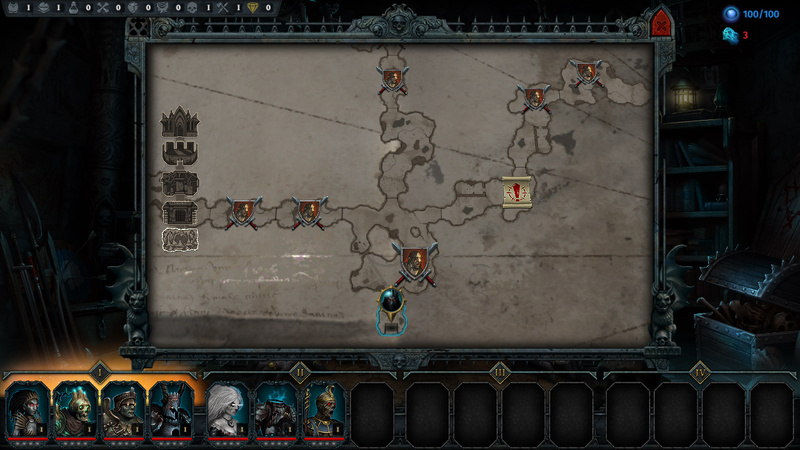 Intelligent enemy AI, challenging even experienced RPG-strategists. 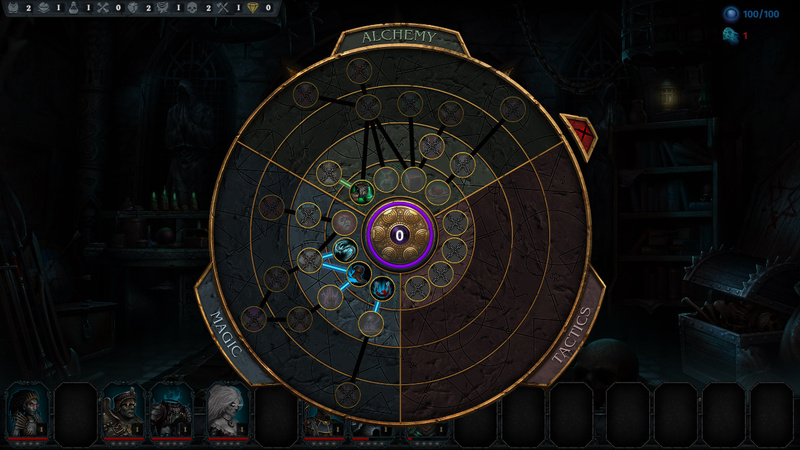 Three types of necromancer talents for gameplay: alchemy, magic talents, or tactical skills. Irreversible consequences. Classic roguelike features including character permadeath. 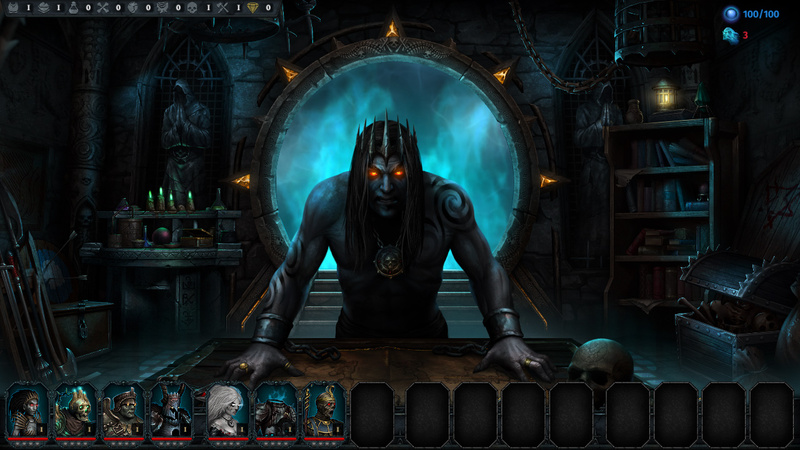 Detailed stylized 2D graphics in the spirit of dark fantasy. This page was last modified on 28 June 2018, at 13:00. This page has been accessed 658 times.